A skilled administrative professional is critical to the success of a district’s school board and executive staff. As the point-person to handle a wide range of responsibilities, it is important for the administrative professional to have up-to-date perspectives on emerging trends and effective practices to help keep board operations running smoothly. This one-day workshop provides an opportunity for participants to sharpen their skills and knowledge while sharing their experiences and ideas. To view photos of the 2015 Administrative Professionals Workshop, please click here. 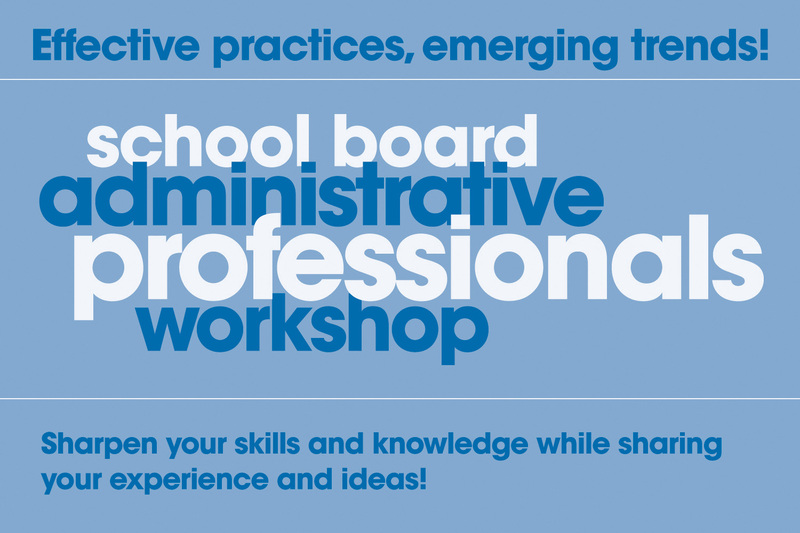 Online registration for the Administrative Professionals Workshop is now open, click here to register. For directions from your location, please click here (opens in new window). If you are interested in staying in Columbia overnight, there are two hotels less than 5 minutes away. This workshop is for district staff who support school board operations. Boardmanship Institute points are not awarded for this event.